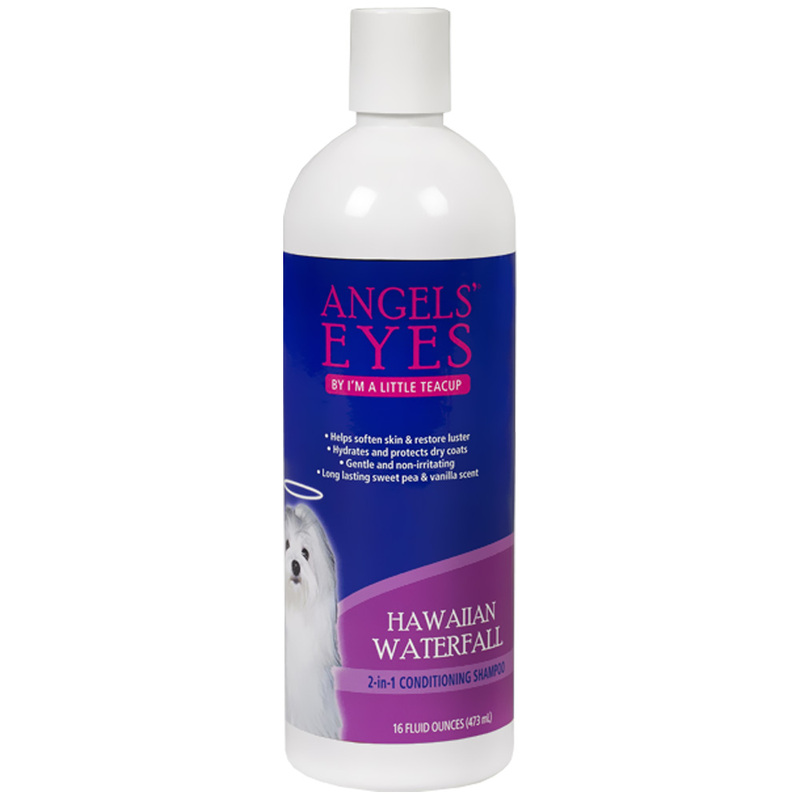 Angels’ Eyes Hawaiian Waterfall 2-in-1 Conditioning Shampoo is the perfect way to provide lasting care for your pet's skin and coat while you bathe them. This 2-in-1 formula works to soften skin and restore luster to dull coats while cleaning your pet's fur thoroughly. The solution also carries a sweet pea and vanilla scent to leave your pet smelling pleasantly fragrant. Angels’ Eyes Hawaiian Waterfall 2-in-1 Conditioning Shampoo is gentle and non-irritating for your pet's comfort. This shampoo was made in the USA and is safe for kittens, cats, puppies, and dogs. Improve your pet's skin & coat health with each bath and order this 2-in-1 conditioning shampoo today! Water, Sodium C14-16 Olefin Sulfonate, Cocamidopropyl Betaine, Disodium Cocoamphodiacetate, Glycol Stearate, Lauryl Clucoside, Sodium Lactate, Fragrance, Tetrasodium EDTA, Hydrolyzed Oat Protein, Chamomilla Recutita (Matricaria) Flower Extract, Safflower Oil, Sunflower Oil, Pantothenic Acid (Vitamin D3), Aloe Barbadensis (Aloe) Leaf Juice, Methylchloroisothiazolinone, Methylisothiazolinone, FD&C Yellow #5, Blue #1. Shake well. Wet coat thoroughly. Apply sufficient Shampoo to lather well into haircoat. Rinse thoroughly. May be used as often as necessary.